Your Path Psychotherapy and Counselling is a private practice offering tailored therapeutic solutions to individuals and couples. 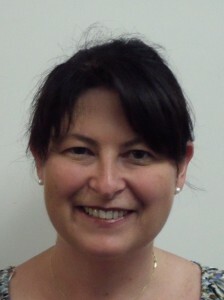 Bronwyn Alleyne is the principal practitioner and is a Registered Psychotherapist. Whether you want to find peace around one issue or would like a more fulfilling life, Bronwyn will engage with you and together we can understand and find new ways of being that are more satisfying to you. Bronwyn will use her psychotherapy and counselling skills purposefully, to access the wisdom inside you to be able to find solutions congruent to your own values. I am a member of The New Zealand Association of Psychotherapists and the Australian Association of Holistic and Transpersonal Counsellors (and therefore have agreed to be bound by a professional code of ethics and code of practice). I am committed to receiving regular professional and confidential supervision, both individual and group) as well as attending ongoing professional development. I am also committed to regular personal psychotherapy. I also hold professional indemnity and public liability insurance. Currently a psychotherapist and counsellor for Dove House (Eastern Bays Hospice) in Auckland. http://www.dovehospice.org.nz/ and a companion for the Seasons for Growth programme – education programme to assist both children and adults to understand and manage change, loss and grief. Previously a Psychotherapist and counsellor for the Grief Centre in Auckland. http://www.griefcentre.org.nz/ and a volunteer at Mercy Hospice in the Opening Doors programme.